Static electricity. 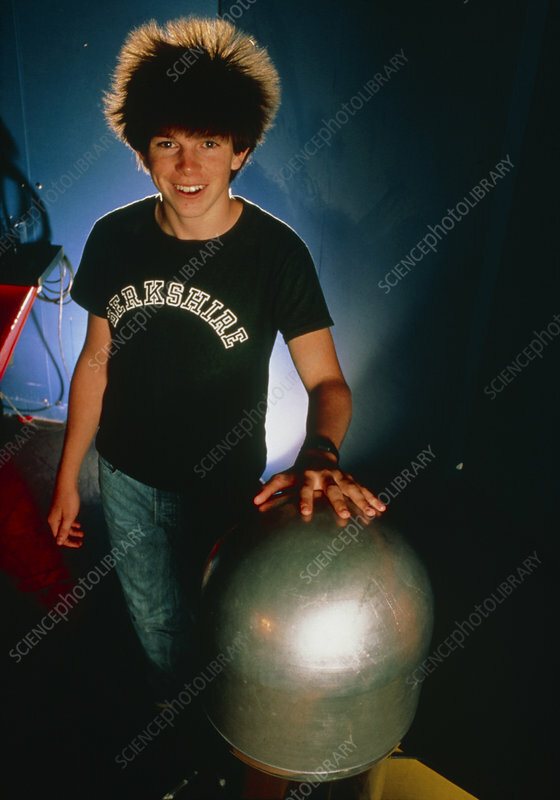 A young boy touching the dome of a Van de Graaff generator which makes his hair stand on end. The generator creates a negative charge of static electricity. As the boy's hands are on the dome, the charge passes from the dome (where it would otherwise be stored) and through to his hair. As the individual hairs become charged, they repel each other and stand on end. Photographed at the Science Museum, Boston, USA.